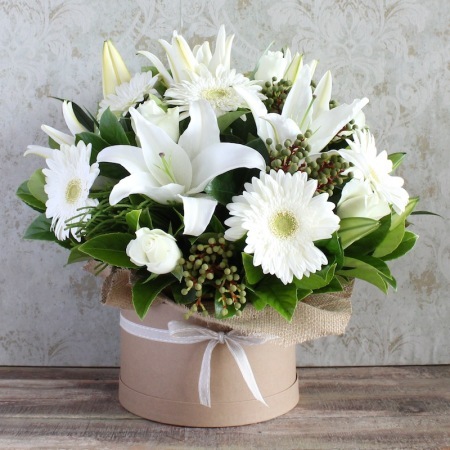 This superb arrangement of crisp white blooms will make a long lasting display in any home or work place. This classic combination of roses, lilies and gerberas is delivered in a gorgeous natural brown hatbox. Send fresh flowers this Christmas.